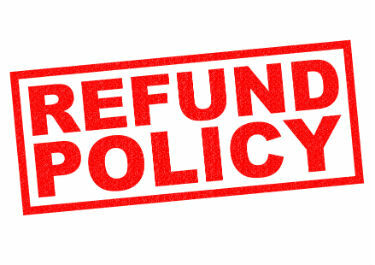 At first glance you might wonder what’s so tricky about recording a vendor refund in QuickBooks. Why is this question being asked? Or, this seems simple, am I doing it right? Let’s back up and set up a scenario. You run a service based business that pays for some supplies. One week you pay a bill to your supplier for cleaning supplies. A few weeks ago you received the bill and entered the bill in QuickBooks correctly. Last week you properly went to Pay Bills. There you paid that bill and any others that needed to be paid. If you entered a bill and then wrote a check for the bill AND the bill still shows in your Accounts Payable, go to this QuickBooks blog where I explain how to correct that. So now your bill is paid and business goes on. Then one day you receive a check back from that vendor for any number of reasons: an unknown discount, price change, or whatever. A common mistake is to receive those funds back against the expense from the original bill; you might even go as far as labeling the deposit as being received from that vendor. And I’m sure it goes without saying that of course you noted the refund reason in the deposit memo field. But this is still incorrect, slightly. This is wrong because it does not directly tie the deposit to the vendor. Meaning you will not find this deposit in the vendor center. So, how do you properly receive a vendor refund? Go to the deposit screen, in the received from field enter the vendor name. Then in from account field, here you put accounts payable. Memo and amount as usual then save and close. Next you need to enter a bill credit from the bills screen. After opening bills toggle it to a credit and enter the vendor name, date, amount, and memo it. In the account field, this is where you will put the expense account that off-sets the original bill. Save and close. Last step, go to pay bills and find the vendor. What you will be clearing here is the check from vendor received. Check the box, and then in the lower portion of the screen you will find set credits. There you can apply the bill credit you created and click done. Click pay selected bills, then click done. There you have it. You have correctly received a vendor refund check. Both the incorrect and correct way will have the same impact on the expense account. However, the correct procedure will show the transaction in vendor reports. Is A QuickBooks Advisor Necessary For Your Business? Hiring a QuickBooks Advisor for you business is a big decision. There are a number of things to consider. QuickBooks is a powerful tool that can help your business but in order to utilize the software you must know how it works. This is the starting point in deciding if you need a QuickBooks Advisor. When making a decision about a QuickBooks Advisor you must have a good understanding of your knowledge and that of your staff. Is there more you want to be able to get out of the software? Will the program do what you envision it might? What about the trial and error time till you get it just the way you want it? What are the costs involved in bringing in an advisor? If you are getting everything you think you need out of QuickBooks you may not need an advisor. However, if you ever wondered if there is an easier way to get a report or if you are downloading to Excel to get all the information you need, it might be worth it to check out what an advisor can do within the QuickBooks program. It may only be a matter of setting up the program a little differently and you can have what you need without the extra work. Your employees most likely could figure out how to get where you want to given enough time. The time lost doing this can be a huge hit to the bottom line. With an advisor the knowledge is all ready there and they can train your staff in the correct way to get what you need. Trial and error can be not only time consuming but dangerous to your data integrity. package. 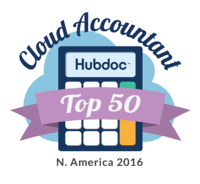 The advisors are tested and need to pass exams that really test their knowledge of QuickBooks. You can be sure that what ever you need the program to do an advisor can make it happen if possible. As a business owner you know how important it is to have the best tools available for your employees. When you have an advisor come in and get the program working at the optimum level (offer a few QuickBooks Tips!) you are giving your business the best bang for its QuickBook bucks. What could a QuickBooks Advisor do for your business? In this QuickBooks video blog we will go over how to properly set up and track 1099 contractors in QuickBooks. Issuing 1099's is a pretty simple task but your QuickBooks company file must be set up properly for everything to work flawlessly. The last thing you want to do is issue incorrect information to the IRS. In this QuickBooks video blog we will go over using memorized transactions in QuickBooks. If you use this feature properly is can really boost your efficiency in QuickBooks. 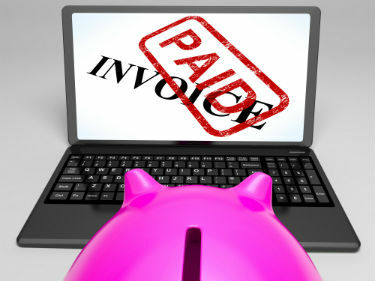 It can also help to automate your invoicing, accounts payable and automatic payments, all of which will help you get a better handle on cash flow.